I needed a single board for a project that I’m building in an upcoming issue of Popular Woodworking Magazine. The only surface I need to look good is the front edge which faces the front of my cabinet. With no milled lumber available other than a few natural-edge cutoffs, I laid a straightedge on two of the cutoffs to remove the natural edges, made cuts at a band saw, jointed the edges and glued the two boards together to make one. A great method to stretch lumber on a project. As I assembled the pieces, I thought back to classes in which I’ve taught woodworkers proper milling techniques using machines. Step one is to flatten a face. In my system, step two is to use a thickness planer to create a parallel face. For some woodworkers, step two is to square one of the edges while at a jointer, but I disagree. If you square an edge, does that edge remain square as you flatten the second face, especially while flipping the board end-for-end during the milling process to keep the exposed surfaces at equal moisture content? There’s a chance that it doesn’t – if your board rides up on an elevated edge of the planer bed, or if a small chunk finds its way under one of the corners as you send the piece through the planer, you could change the squareness of that edge of the workpiece. That makes step three, for me, to then create an edge that is square to both faces. It’s at this point that I often run crossways of students in the class. Many woodworkers feel that it’s necessary (step four) that you rip the board at the table saw. Is it? The answer is that it depends. If you’re simply joining two or more boards in a panel glue-up, it’s not important that the boards are ripped into a four-square configuration. Why waste the wood. Make your step four at the jointer. 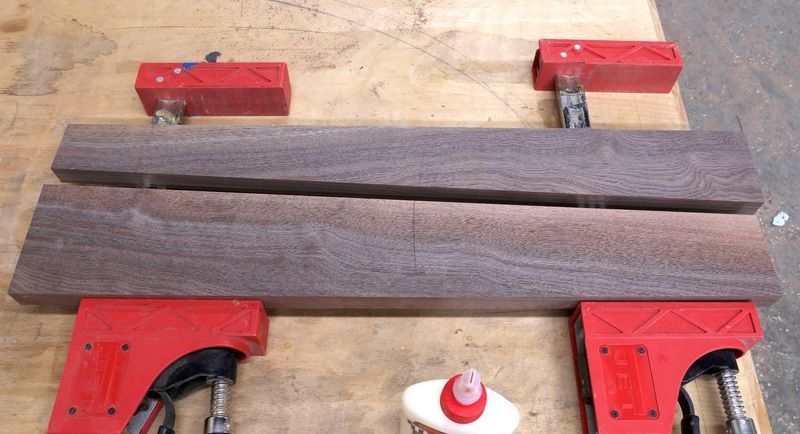 In fact, one of the best techniques for hiding seams when assembling panels is to cut a board for a better grain match, which removes the four-square measurements from your board. If however, you’re preparing a board for use in your project, then make your step four at a table saw. You need to think through operations and not simply be guided by a set of rules. We all know that rules are to be broken. If you’re preparing your lumber using handplanes, you need to go about the work differently. You also need to answer a question for me – what the hell is wrong with you? Milling lumber is grunt work. Use a machine for the grunt work and use your handplanes for finish work. C’mon man! People can do a more manually intensive method than you for rational reasons. If you assume everyone out there has exactly the same capital and priorities you do, perhaps doing something by hand would be irrational. Agreed, Trevor. If hand planes are what you have to work, plane on and get things flat, true and square. But also understand the value of machines in woodworking. My comment was more directed to those who have the machines, but decide to prepare boards by hand because it’s the fashion of the day. Glen, that’s a great post. I love the ending! It makes me smile each time I’ve read it. I have been tempted to do that, but as I own a 6″ jointer and a 13″ planer, I’m not entirely sure why. The only thing I can think of is to gain that skill for when I have boards that are too wide for my machines. I would hate to rip them down just because of a mechanical limitation. Thanks for the words and the work – keep it up!